Here is the A-TACS FG photo contest winning pic. Everyone at Beez Combat Systems and Predator Intelligence would like to thank all of those that took the time to put forward their submissions. Congratulations to the winner of the $500 in A-TACS FG gear and uniforms. 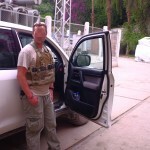 The carrier being worn in the pics is the BALCS body armor carrier LBAV. This is our low profile body armor carrier. The BALCS body armor carrier LBAV supports BALCS cut soft armor inserts, front and back hard plates. We offer the BALCS body armor carrier in three different versions. This allows the operator to have cost effective options for his BALCS cut body armor panels. 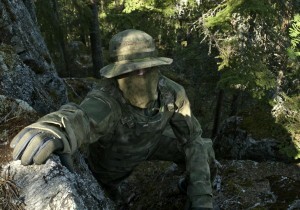 Our entire product line is available in A-TACS AU/FG Camo. If you have not yet purchased your own A-TACS AU or FG Gear. We are extending a Memorial Day Sale through the end of May with a 10% Discount on any product in the A-TACS CAMO patterns. Enter Code: ATACSCAMO to receive the discount. Get your A-TACS FG load out photos sent in, time is drawing near. The winner will be announced on Memorial day the 28th, so get them in by Friday midnight (MST) on the 25th. We announced back in March that we teamed up with PredatorBDU to provide the winning shot $500 in gear and uniforms. There is no limit on number of photos entered, so pick your best and send them. Send pics to FG@beezcombatsystems.com If you missed the contest announcement, Here is a link to the A-TACS FG Photo Contest. 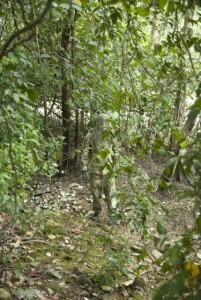 Below is a great photo from SOFREP that shows the A-TACS FG uniform in the jungles of South East Asia. 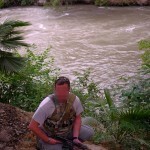 Memorial Day Sale through the end of May with a 10% Discount on any product in the A-TACS CAMO patterns. Enter Code: ATACSCAMO to receive the discount. 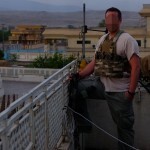 Our AK47 chest rig low profile line has been out for just over a year. This rig has seen action in multiple countries in Africa, Iraq, Afghanistan and many others. 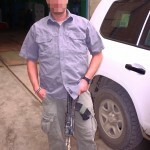 The AK47 chest rig has turned out to be a nice overt or covert way to carry AK47 mags. The AK line of chest rigs is available for 47/74 weapon systems. Multiple mag pouch configurations are available. The rig is available in a 3 mag, 4 mag, 5 mag, 6 mag or 7 mag setup. 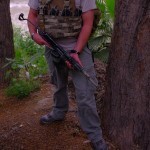 This allows the AK operator to carry the amount of mags needed for the operating environment. This rig can be used stand alone or over body armor. 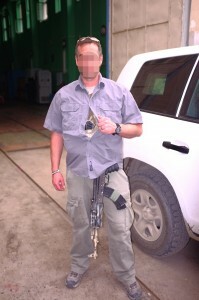 The low profile design allows the operator to maintain a minimal signature when wearing body armor. This makes working in and out of vehicles that much easier. With plenty of molle webbing across the front of the rig it can be configured with any of the molle/pals compatible pouches. We offer multiple color options as well – Multicam, A-TACS AU, A-TACS FG, Coyote, Ranger Green, Olive Drab, Khaki, Woodland, and Black. The low profile design of this rig makes it easy to covertly carry 210 rounds of AK ammo. If less rounds are needed the rig is available in 3 mag or 4 mag which would create even a smaller signature. Another option that makes this rig different than other rigs on the market is the pull-forward design option. 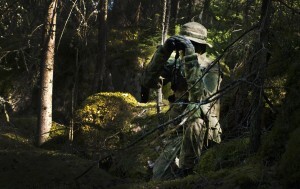 The pull-forward design allows the operator to adjust the AK47 chest rig on the fly. Other chest rigs require you to remove the rig and undo multiple buckles and make multiple adjustments. This can become a real pain especially if you are in a climate that has dramatic weather extremes where you are continuously layering or down layering clothing. 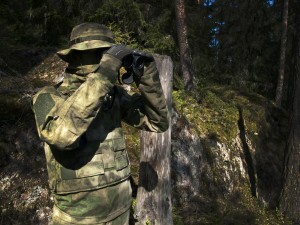 As well if you are in an AO that has extreme threat level changes that requires body armor or concealment. We also wanted to provide the operator the choice of a H or X harness. If you haven’t read how we developed and designed the AK chest rig the way we did here is a link to our blog. Design and Development of the BCS AK47 Chest Rig. 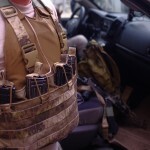 This is the most advanced low profile AK47 chest rig on the market. Thanks to all those who have made recommendations and provided feedback so we can continue to improve. A four man Airforce fire team assigned to securing launch sites and flying SUAS ”small unmanned aerial system”to provide force protection, route clearance, and battle damage assessment contacted us about the BCS Plate carrier. 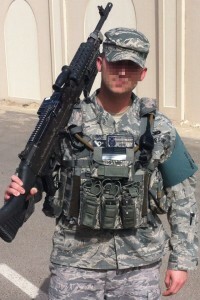 They requested the plate carrier in ABU (Airman Battle Uniform). 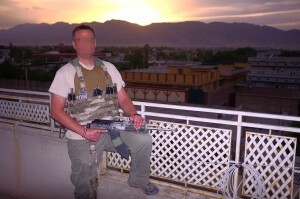 This was the first time we had made any of our gear in the ABU tiger stripe. The ABU plate carrier turned out nice in the tiger stripe pattern. The ABU Plate Carrier was designed to meet and exceed the needs of the operator. If you are an Airforce Operator or need a high quality ABU Plate carrier that has great load carrying capacity in a compact lightweight design the ABU Plate Carrier is for you. 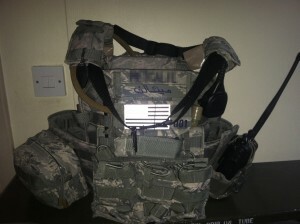 The shoulders on the plate carrier are fully adjustable and 4”, 6” and 9” shoulder pads are available with an advanced design feature not seen in other rigs. Two pieces of webbing sewn on each end of the shoulder pads allowing for comms or hydration tubing to be ran through. On one of the pads there is a sling securing strap to help prevent neck sling burn. The front and back of the plate carrier feature rows of molle webbing and two 2” row of Loop sewn on for flags and other identifiers on the front. Rifle plates are loaded from the unique top load design and secured with a hook/loop closure.This eliminates the possibility of the plates ever falling out. The plate carrier includes a removable cummerbund. 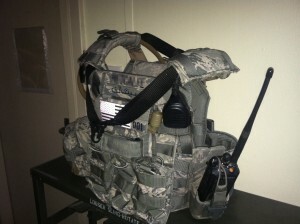 The cummerbund runs through the rig, is fully adjustable and has molle webbing on both sides. If the cummerbund if not needed it can also be removed, and the rig can continue to be secured by a secondary 2” nylon strap system with quick release buckles (also removable). The front cummer flap has four rows of molle which allows for some vertical adjustment. 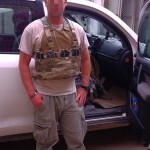 The ABU plate carrier is available by request as well as other BCS gear in ABU.